The beauty of our Valpolicella grapes tempted us and we wanted to see what the Amarone version would be like. The result? A wine of great complexity but at the same time very elegant and refined. Exclusively from our hillside vineyards located in Campiano, (ca. 400 m. a.s.l), a small hamlet of Cazzano di Tramigna (VR). Cherry liqueur, black cherries, plums, liquorice and leather. Spices like cinnamon and pepper. Hints of wild berries. The grape harvest is exclusively done manually and is carried out during the end of September until the beginning of October. The bunches of grapes, which are carefully selected, are collected into boxes and subsequently come to the fruit loft “fruttaio” where they start the long, natural drying process known as ‘appassimento’. The drying promotes the concentration of sugars and lasts around 3 months. Between January and February the grapes are pressed and then fermentation happens in stainless steal vats at controlled temperatures. This lasts for about 30 – 40 days with daily “rimontaggio” (the resubmerging of the grapes that have floated to the top of the container). The maturing of the wine occurs in wooden casks for 3 years until the bottling, which is then followed by 2 months of aging in the bottle. 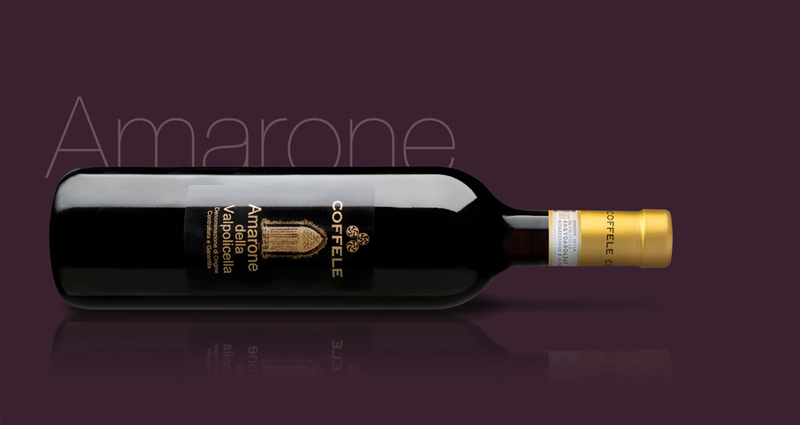 An extremely elegant wine which is harmonious and velvety, yet strong, complex, dry, full-bodied and austere. Uncork the bottle at least one hour before serving. It is traditionally paired with dishes made from game, barbequed and braised meats and mature cheese. Serve at a temperature of 18C and uncork the bottle 1 hour before drinking. 5,50 g/l of tartaric acid.